As I’ve mentioned before, I’ve spent the last 10 or so years, unraveling old “truths” and learning the real truths of life. 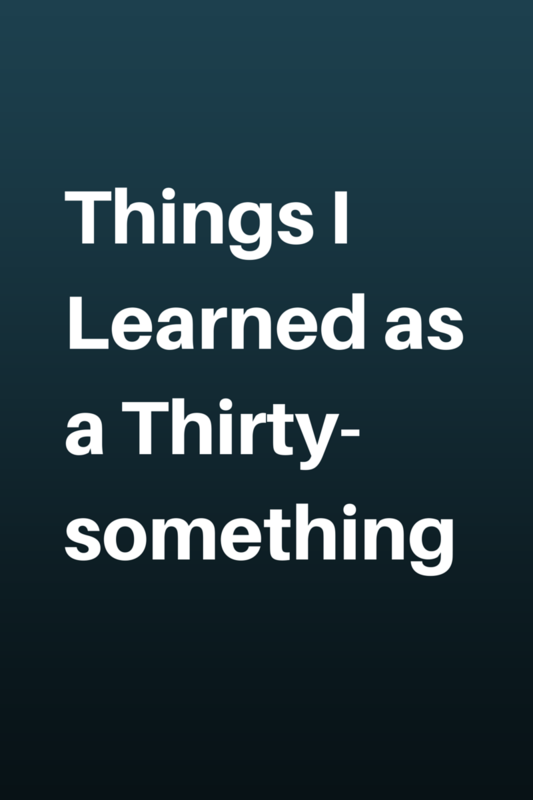 Side note: I was originally going to title this “Things I’ve learned so far in my Middle Age years”, but apparently I’m not middle aged. To be accurate in my description, I looked up when middle age starts. I thought it started at 35 when you get letter from your life insurance company saying it time to increase your coverage. Or when your risk for pregnancy complications become great. But no. According to Wikipedia, middle age doesn’t start until you’re 45. So what does that make us late 30 and early 40-somethings? Late young adulthood. Yeah – that’s what I said. And as the title suggests, this is just so far. There is much much more to learn.